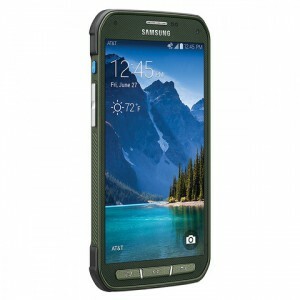 The rugged and ultra-durable Galaxy S5 Active may soon launch in select European markets. According to the folks at GSM Arena, November 16 is the rumored date for the release. While Samsung has yet to confirm or deny this rumor, there’s strong evidence suggesting that it’s true. So, how do we know the Galaxy S5 Active will launch in Europe next month? One piece of evidence hinting at its release was a listing on the European retailer giant Centralpoint. The listing, which was posted presumably by mistake, revealed the Galaxy S5 Active with a €577 (included VAT) price tag. Assuming this listing is correct, the Galaxy S5 Active will cost about €50 less than its previously rumored price. And to make the deal even better, Centralpoint will offer buyers a €100 store gift card for leaving a review of the Galaxy S5 Active on their website. Another recently leaked document revealed the markets in which the Galaxy S5 Active will be launched. These markets reportedly include Austria, the Netherlands, Luxembourg, Bulgaria, France, Switzerland, Poland, Slovenia, Germany, Italy, the UK, the Nordic countries, and the Baltics. Other regions will likely be added to the list once new firmware updated are rolled out, although there’s no confirmed date on when exactly this will happen. The Galaxy S5 Active features a 5.1″ full-HD display protected with Corning Gorilla Glass 3, 2 .5GHz quad-core Qualcomm Snapdragon 801 processor, 16-megapixel primary camera, 2-megapixel secondary camera, 2GB RAM, 16GB storage, MicrosSD card slot for storage expansion, 2800 mAh battery, and 4.4.2 KitKat operating system (which will likely upgrade to Android 5.0 Lollipop when it’s released). But there’s not as much hype surrounding the Galaxy S5 Active when compared to the release of the Galaxy S4 Active. This, of course, is likely due to the fact that the Galaxy S5 is already dust and water-resistant. When Samsung released the Galaxy S4 Active, it touted the device’s ability to withstand dust and water — a feature not found in the original Galaxy S4. However, both the Galaxy S5 and Galaxy S5 Active feature the same IP6/7 dust and water-resistant body, negating some of its hype this time around. It may lack the appeal of its predecessor, but the Galaxy S5 Active is a powerful Android smartphone with a competitive price tag. Even with the slimmed down specs, it will likely trump many higher priced smartphones. What do you think of the Galaxy S5 Active? Let us know in the comments section below!